If earning money from home by doing the same things that you do on your computer every day sounds good to you (and I don’t see why it wouldn’t), then Swagbucks might be right for you! Is There A Maximum Amount That You Can Earn? Unlike many other rewards sites, there isn’t a maximum amount that you can earn through the website. Many people have used Swagbucks for a period of months or years. Many of them found that Swagbucks continued to be just as profitable for them as it was in the beginning! Swagbucks is operated by Prodedge LLC. Prodedge LLC is based out of El Segundo, California. Prodedge LLC owns several other companies in addition to being the owner of Swagbucks, and they are a well-known provider of digital services. How Does Swagbucks Make Money? Advertisers pay Swagbucks to have their services featured on Swagbucks. Swagbucks compensates people who use the platform with a portion of this money. Unlike many other reward sites, Swagbucks has a well-developed legitimate business model that shows that the site isn’t a scam. Here’s a Quick Video on Swagbucks. Who Is Swagbucks Designed For? Here’s a screenshot of member’s area. Swagbucks even has its own search engine! This search engine makes it possible to find virtually anything on the web. Given this, you really couldn’t find an easier way to make money! How Does Swagbucks Keep Track Of Your Earnings? Swagbucks measures your earnings by allowing people who use the site to accumulate credits. These credits are called Swag Bucks. A Swag Buck is generally worth one cent in rewards. In some cases, your Swag Bucks may be worth more than this though. 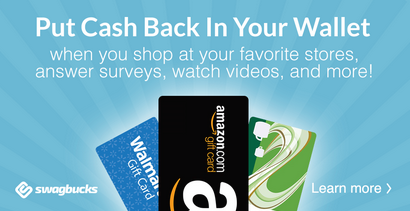 You can get a gift card or deposit to your PayPal account after you accumulate enough Swagbucks for a specific reward. While cash payment and many of the gift cards require that you accumulate a significant amount of SwagBucks, you can choose other rewards that require a smaller number of Swagbucks. In addition, there is a bonus for signing up if you sign up through a referrer! If you sign up from a referral link, you will instantly get a three dollar bonus. After you make a purchase, you will get a 10 dollar bonus in addition. Furthermore, some referral links make it possible for you to earn an even larger bonus. What Are The Pros And Cons Of Swagbucks? The pros of Swagbucks very much outweigh the cons. However, it’s important that you are aware of the website’s unique advantages and disadvantages in order to make an informed decision about whether or not you want to use Swagbucks. Many people have used Swagbucks, and most people have good things to say about it. In fact, the website has average reviews of more than four out of five stars on some review sites. Many people find that Swagbuck’s surveys are enjoyable to work on. Swagbucks makes it possible to earn money by downloading apps. Many people have had great experiences with the company’s customer service representatives. You can get a three dollar bonus for referring someone to Swagbucks. You can get the bonus for referring just about anyone, including people who you live with. Swagbucks also allows you to post referral links on forums. It’s easy to check the status of rewards that you redeemed on the Swagbucks website. All of the rewards that you earn are listed on one page. Swagbucks offers special bonuses that are often called Swagstakes. Swagstakes make it possible to win more rewards than you’ll be able to earn at other times. As with other rewards from Swagbucks, it is easy to see whether or not you won one of the Swagstakes. It’s often easy to use e-gift cards from Swagbucks at offline stores. Swagbucks has been in business for a longer period of time than many other reward sites. In fact, Swagbucks first got up and running nine years ago. It’s not just everyday people who use Swagbucks, and the company truly lives up to its name! Kanye West, members of Kiss, WWE wrestlers, and the Indianapolis Colts use Swagbucks too. These famous people have all had positive experiences with Swagbucks. Swagbucks has a mobile-friendly website. It’s easy to use all of the website’s features with a touchscreen. In addition, there is an app that is specifically designed to improve the experience of people who access the website with a mobile device. It’s exceptionally fast and easy to register for the site. Many users report that it took them less than a minute to register for Swagbucks! Unlike many websites that allow you to earn rewards, there are no catches with Swagbucks. There is a help page where you can find answers to frequently asked questions about Swagbucks. It’s possible to earn additional rewards by finding “Swag codes”. Swag codes are posted online when there is a special offer going on. You can copy and paste these codes into a box on the website’s home page. It’s easy to know what activities will earn you the most Swagbucks. Some of the best opportunities on the website are listed on the home page. While most of the ways to earn money offer very small amounts individually, there are certain ways that you can earn a significant amount of money from one task. For instance, you can get a bonus of more than 200 dollars in Swagbucks for becoming a Lyft driver through the website. It often takes a while to earn enough Swagbucks to actually receive a reward. On average, using Swagbucks will only earn you about 60 cents an hour. However, if you are doing the same things through Swagbucks that you would do during your leisure time, earning 60 cents in an hour is better than earning nothing. It’s only possible to get five versions of the same kind of gift card. If you make any unusual searches, you could end up getting blocked from the site. This can restrict your activity while using Swagbucks, and it also is indicative of some level of monitoring. If you use the mobile version of the site, you won’t have access to as many discounts as if you used the desktop version. However, using the app can expand your options a bit. Swagbucks has a unique drawback that has caused some people to question if it is a good website to use. It is only possible to redeem 25 dollars worth of a gift card that you like. How Can You Get In Touch With Swagbucks? There are several ways that you can get in touch with Swagbucks. You can give the company a call at 1-877-748-2714 or send them an email at support@swagbucks.com. The company also has a mailing address at P.O. Box 578 Manhattan Beach, CA 90267, and it’s possible to contact them from the website itself. You also can watch YouTube videos from the company and send a message to the company’s YouTube channel. Furthermore, you can communicate with the company’s representatives on forums that for the Swagbucks community. You also can contact the company through Facebook or Twitter. Using Swagbucks is generally pretty straightforward. If you have any questions about how to use the website, you can probably find your answer to the question by watching YouTube videos from the company. If you’re using the site on your own computer, you won’t have to download anything. Should You Start Using Swagbucks? Overall, this really might be the best rewards site for you to use. Many people feel that the website is the best rewards site out there, and they don’t hesitate to recommend the website for others. There are very few websites that offer rewards and are anywhere near as popular as Swagbucks. 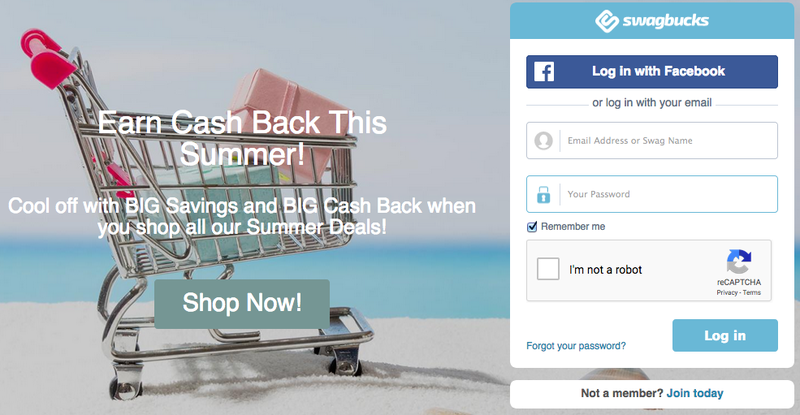 Swagbucks has a number of important advantages over other reward websites, such as Inbox Dollars. Thanks for reading this review and hopefully I have given you more information than you need. If you have any questions about this or any other “opportunity” just leave them in the comment section below.